Have you ever been able to hear about COB LED grow light and what can they do? Well, most of the people nowadays are not familiar with the concept of COB LED lights and their benefits, but, we are here to provide some explanations and guidelines for anyone who would like to know more about COB LED lights. 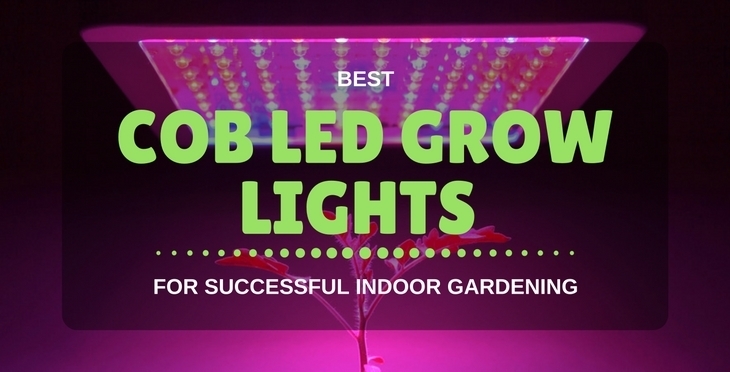 Before we start to discuss more about COB LED grow lights, it is important to know that they are actually something truly special if you want to grow your plants indoors. Especially for the cannabis plants, COB LED lights have proven to be possibly the best way of indoor cannabis growth by far. They started as a ‘’bad idea’’ but eventually, COB LED lights have turned to be pretty awesome and best option. Now, let’s see everything that you need to know about COB LED lights in order to know whether will you be able to benefit from them or not. 2 About COB LED in general-What Is A COB LED? 6.2 Cooling systems are important. 6.5 What about the cost? About COB LED in general-What Is A COB LED? The word COB is actually short of Chip-on-Board and the COB LED lights are specially designed lights with LED chips that are mounted directly into a substrate in order to form a single module. Since multiple LEDs are wired and put all together, they basically form one light source. Therefore, when a COB LED is powered by electricity, it appears to be more like a lighting panel and not like a multiple individual lights. That is the main difference between COB LED lights and other LED packages. Anyhow, COB LED lights are able to provide lots of benefits for their users and that is something that makes them truly special and a little bit more valuable than other LED packages. Let’s see some of those advantages. Ceramic Metal Halide Light Reviews!! 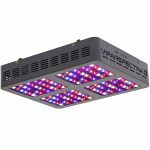 Best HPS Grow lights Reviews!! First of all, when you use light methods for growing purposes, you tend to get the best light for your plants. Therefore, COB LED lights provide better amount of photosynthetic active photons that plants need for their growth. Simply speaking, with COB LED lights, your plants will grow faster and definitely, they will be healthier. It is known that LED lights have a longer lifespan than regular lights, but, with the COB LED lights technology, you can expect your light bulb to be even more durable and long-lasting. It might be a little bit expensive at the start, since COB LED lights require high initial investment, but after a while, you will be benefiting a lot from them. Simply put, with COB LED lights, you won’t have to worry about their lifespan. Possibly the main reason why COB LED grow lights made it to the top of the quality charts so fast is the fact that they provide HIGH color rendering index and broad spectrum. The Color Rendering Index describes the change of the light’s color when it interacts with the object. Simply speaking, the higher the CRI, thing will look more realistic for sure. Anyhow, let’s get to the advantages of COB LED lights that affect the cannabis grow in general. Now, we are going to see all the advantages of COB LED grow lights when it comes to the cannabis grow. Anyhow, since there are lots of different ways to analyze these advantages, we will simply list them for you to see. Let’s start. The Heat – The COB LED grow lights are not producing almost any heat and therefore, they don’t damage the plants. Other light systems are actually pretty much hot when they are on for more than one hour. But, with the COB LED grow lights that is not a case. You can literally touch them and nothing will happen.Also, since there will be no burning of the filament, COB LED grow lights are definitely the best solution and recommendable choice for cannabis growth. You can put LED lights 30-45 cm above the plants and they will work wonders. The Color Spectrums – Since all of the light spectrums are required to grow a healthy cannabis plant, COB LED grow lights are here to provide that. We all know that light spectrum that cannabis plant requires goes from blue to red, therefore, COB LED grow lights are delivering something in between that, a mixture of blue and red, which is almost perfect for cannabis growth.If you want your plant to be healthy and to grow big, it is highly recommendable to get the COB LED grow lights, since you can’t go wrong with them. Durability – The COB LED grow lights are pretty durable and they last for a longer period of time than regular lights. This is because of their special design and quality of the materials that they are made of. Anyhow, COB LED grow lights are able to last more than 55.000 hours, which makes them pretty long-lasting.With this much life time, you won’t need any substitutes or secondary lights for your healthy cannabis growth. We have come to the part where you can see our top 10 COB LED lights for cannabis growth. Everything you need to know about them will be properly discussed below. Let’s see. Roleadro COB Led Grow Light is known to be one of the COB led grow light package with the best cooling system. Namely, the adopted UL cooling fans are here to improve heat dissipation and to protect the plants from any burning damage. Also, the Sunflower radiator system pretty much contributes a lot to the overall heat dissipation as well. Anyhow, these two features are improving the life of the lamp and they provide better cooling efficiency. Now, the full spectrum provides the light similar to the natural sunlight. With the almost perfect wavelength, that is convenient for indoor growth, your plants will be treated perfectly through every stage of their growing phases. Also, there is a convenient ON/OFF switch that ensures easy use of the lamp. No wonders why this lamp is considered as one of the best COB LED grow lights for indoor use. However, if you want to get something truly special for your cannabis plants, then this might be it, you definitely can’t go wrong with this one. 0% overheating issues. It because of the tremendous inbuilt cooling system. The integrated light design makes it a beast indeed. 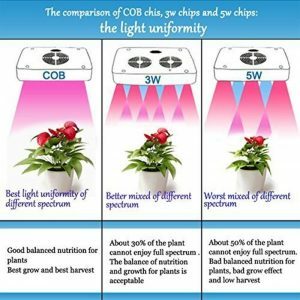 When it comes to the most powerful COB grow light within budget, only one product comes in my mind, and that is Roleadro’s COB full spectrum increase light. It’s an 800w’s high powerful COB grow light. If you see the minimalistic look of it, you won’t believe it’s an 800 watt’s powerful light. Even there is a 400W option’s available too. Both looks the same. Want to know more about it? If yes, then here are all the features of it. Full-spectrum light: It provides full-spectrum light, and according to many growers, their marijuana plants are very satisfied with its light performance. It doesn’t offer deep red and blue light. Roleadro believes giving everything a plant extracts from sunlight. That’s why it doesn’t provide bright red or blue light. The light balancing of it is just impressive. Because of the full spectrum light, the plant grows much faster, healthier and greener. Powerful cooling system: Well, yes! It has a powerful cooling system which protects the light from overheating. That’s the reason, why the light produces less heat. It because of the cooling system that uses an aluminum substrate. As it will keep your room’s temperature regular in return, you’ve to tolerate the noise of it. COB LEDS: It as two pieces of COB LEDs. It makes it sturdy and also if one broke one the other one will keep working. So, your plants are good with it even in a broken condition. Accessories: You’ll get one daisy chain and power cord with it for free. 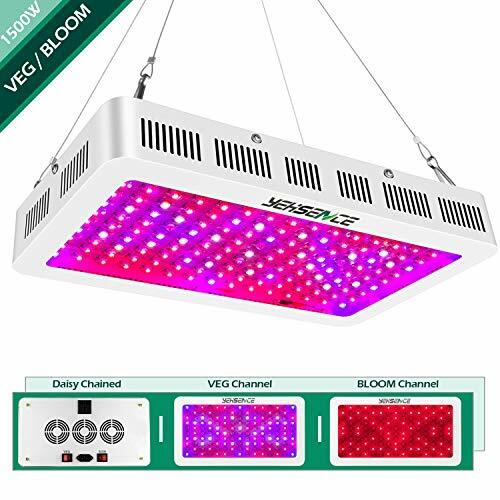 With the daisy chain, you can connect more grow lights, which will help you to extend the coverage area. Money-back guarantee: If in case, you find any problem or issues with the light within 30 days, you’ll get a full refund, and it’s their guarantee. So, your money is safe to mate! By the way, the roleadro grow light also comes with two years warranty. If any technical problem arrives, you know what to do! Roleadro is a trustworthy brand indeed! From the last ten years, they’re rocking in the business because of their product quality and excellent customer service. It’s a great grow light from them too. I recommend everyone to get it! 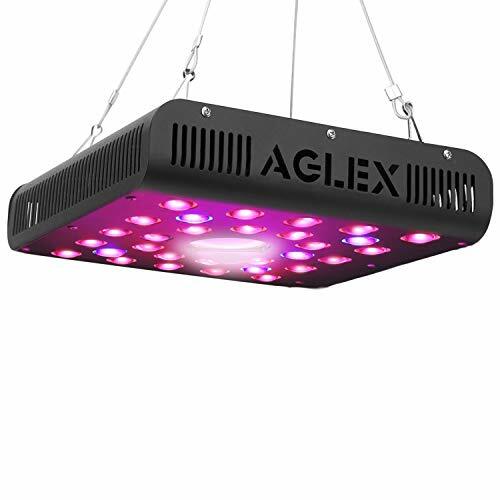 Now if you’re an intermediate grower and need something average then get a 400w to grow light, and for small spaces, they offer 200w grow light as well. 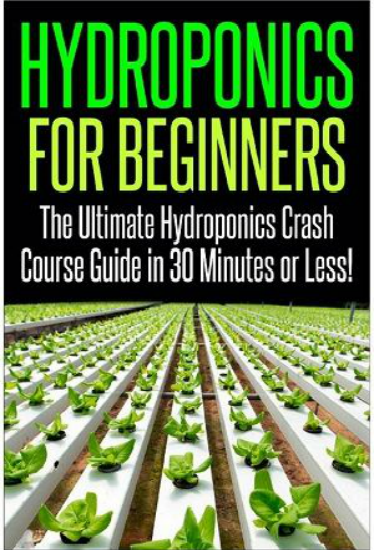 Works great in all stages of marijuana growing. Hipargero is a trustworthy brand when it comes to COB grow lights. 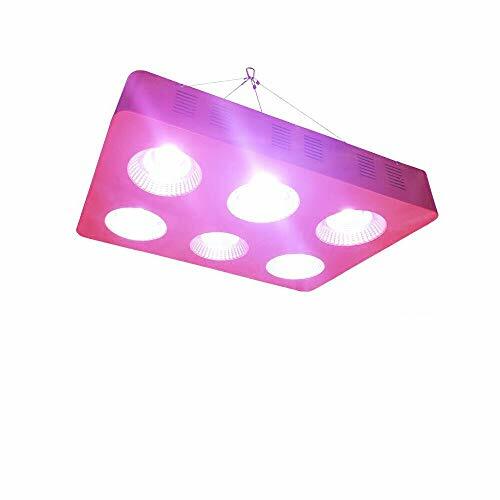 They have a huge number of LED grow light, and their customer base is delighted with it. Here is a review of Hipargero’s 400W COB grow light. It’s a 400W grow light which is known as an ideal grow light that provides a full spectrum light. It has five-watt CREE xte chips in it which makes it reliable and long-lasting. Want to know more? Jump into our review section then! Full-spectrum: When it comes to full-spectrum, I always recommend it to all growers. It shows what full-spectrum is. It gives best full-spectrum from 380nm to 730nm. It’s best for plant even the manufacturer used special 2x3000k powered light which helps to grow plants faster and healthier. It also has eight extra LEDs for the flowering and fruiting stage. So, no compromise for your plant! Cooling system: It has two cooling fans in it. It helps to keep the temperature cool. So, overheating isn’t an issue. Also, it’s made with aluminum which works like a heat sink. All of their products are temperature tested! Well-made: It’s a durable and well-made product indeed. It’s made with aircraft grade aluminum which helps to get the heat out of the light and plant. It kind of work like a heat sink. Isn’t it great? Warranty and money back guarantee: Yes! You’re getting one year warranty with it and thirty days money-back guarantee. So, within 30 days, if you don’t feel for it, you can get your money back! Best Coverage: Best for 2ftx2ft at 18 inches. Within this area, it’ll give you the best performance. If you’re looking for something straightforward to set up and use and it can perform well then it’s perfect for you. However, if you are looking for a bit more then go for the 450W one! You’ll find a review of it below! In the end, it’s an ideal COB grow light for any cannabis grower. CF Grow Dimmable CREE CXB3590 COB LED grow light belongs to the ‘’affordable’’ price point category and it is definitely worth every penny. Namely, the new style CREE COB LED grow light will provide full spectrum of colors that goes from 380 nm to 780 nm. 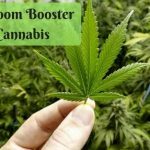 This is very important if you want to grow cannabis. Also, it is recommendable to use this lamp for indoor plant growth since that is the place where it will show its best performance. Furthermore, each LED chip is packing 120W power which is more than enough for a healthy plant growth. Also, the manufacturer that makes LED drivers is MEANWELL, which will ensure that the voltage is stable and it will provide longer life for COB LED chips. All in all, this COB LED grow light is suitable for cannabis indoor grow and it will provide perfect and continual performance. Never the less, you will be able to benefit a lot if you decide to get this one for your cannabis plant growth. High quality LED driver ensures longer life and stable voltage. Full spectrum is provided for cannabis plant growth. LED chips are packing great power. 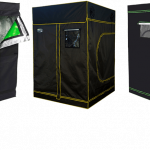 Suitable for cannabis growth indoors. A little bit pricey, but valuable. The great power-cooling system as it has two power cooling fan. Made with aircraft grade high-quality aluminum. CREE XTE chips are used in it. Works well on different growing stages. It can’t be connected with a daisy-chain. When it comes to COB grow light, Hipargero is a reliable brand. That’s why here I’m giving you a review of hipagero’s 450W COB grow light. Wait! Can you remember anything? Have you read the 400W COB grow light review of hipargero? If you haven’t then go and read it now! If you understand that then yes it’s the 450W grow light. It’s a 450W grow light of this series. It’s a bit more potent than the 400W one. It has all the features as that 400 had, but it’s more powerful. Are you interested to know more about it? Then dive into the features section. NOW! Full-Spectrum: It’s a full-spectrum light which provides 410nm to 730nm. It works on all the stages. For the flowering and fruiting stage, it has an extra ten pieces of powerful CREE LEDs. It helps you to get the best result possible. CREE LEDs: It has 5W CREE LEDs which are best is market. So, you can easily depend on it. Easy to use: Just plug into a power supply or electronic outlet of 85-265VAC and use it. Heat-consumption: For consuming the heat, it has two high-speed cooling fans which transfers all the heat quickly to the outside. It keeps the LEDs cool and helps to sustain for a long time. Built: It’s very durable when it comes to the body. It is made of high-quality aluminum (Aircraft standard), and you know the rest of the story. Coverage: It can cover a 4ftx4ft tent easily. Accessories: You’ll get a mounting kit, power cable and user manual for free with the LED light. If you ask me then I’ll say, I’m 100% recommending it! It because I love the build quality and performance of it. It’s ideal for those who are looking for something more powerful than the 400w version. Still, if you want something less powerful and within budget then you can get the 400w as well. Attractive, futuristic design, smart look. Thin body and light in weight. Bright and deep light range. No fan and black covered cooling system. No daisy chain available also can’t be chained with the daisy chain. Are you looking for something that has a unique design and unique features? If you want to see a grow light like this, then Canagrow’s 360W COB grow light is something that you should know about! Canagrow is a famous brand among all the marijuana growers. They’re well-known for their unique and minimalistic design products. That’s why we’re reviewing Canagrow’s 360W LED grow light. It is very popular because of its futuristic blackish design. It has a smart look and features as well. Here are the following features! Full spectrum lights: It has four pieces of full spectrum light on its panel. These are high-quality LED chips. It’s perfect for all the stages. Coverage: It can cover up to 8 sq. ft.
Energy: It consumes less electricity (around 120w). So, now you’re saving money too. Anti-dust: It’s dustproof, so you don’t have to clean it more often. Warranty: It comes with three years’ service warranty. No noise: It has no fan in it, and that’s why it’s slim too. Heat-consumption: As you already know it has no cooling fans then how can it control the temperature? It has a thin body, but black covered cooling system at the back side which helps to get the warm air away. It is one of the smartest, elegant pieces of COB grow light I’ve ever used! It’s not like other fancy light which only looks good. Even it performs like a beast too. 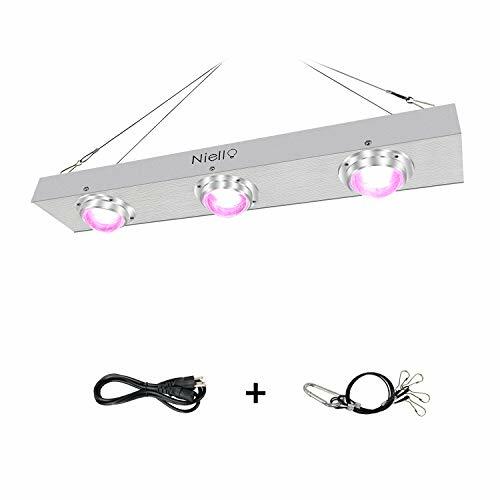 I recommend it to those who are looking for a bright grow light with new and smart technology. Some packages were found without power cords. (In this type of issues you can always contact their customer support). Relassy is a very new brand on the market. They just started their business in 2017, and within two years, they’re well-settled in the COB industry. Many growers are the fan of their grow lights. In 2018, I got a COB to grow light of them which is Relassy’s 150W waterproof grow light. So, here’s a review of it. It’s a 150W COB grow light of Relassy. It offers full spectrum light, long lifespan, warranty, etc. Want to know more in details? Go down! Light: It has a full-spectrum COB light which provides 380nm to 800nm. It’s enough for growing a marijuana tree. It offers red and blue lights. Condition: You can use it in your both indoor and outdoor garden. Waterproof: Yes, it is IP67 waterproof. Some growers have used it in the rain too. Energy consumption: Even after being a 150W COB grow light it consumes only 65W. It’ll save you some money for sure. Lifespan: According to the manufacturer, it can sustain for more than 50,000 working hours. Heat consumption: It has a heat dissipation IC, essential burning case coated with a heat-dissipation cover. Warranty: It has a year warranty with it. Like other growers even I found it efficient, effective and affordable. It helps to grow a cannabis plant more strongly. So, it’s highly recommended by me! In the new COB industry, CF grows a brand that banging among all the tight-budget grower. They promise and give all the new COB lightning technology within a very affordable price. That’s why today we’re reviewing one of their 300w COB grow light. It’s a fantastic grow light that provides a wide range of the spectrum. Not just that, it’s waterproof and has a great lifespan too. Want to know more in details? Scroll down! Waterproof: Well, yes! It is waterproof. So, you don’t have to bother on the humidity working environment as it is waterproof. Outdoor and indoor: Yes, you can use it in outdoor and indoor both. It’s suitable for both conditions. Full-spectrum light: It has full-spectrum light that can perform up to 380-780 nm. That’s why it’s best for all the stages and especially for blooming stages. According to many weed grower, it helps to grow weed in all phases. Full-day performance: It can perform up to 24 hours per day. Heat-consumption: It has special air aluminum case which helps to reduce the heat and get all the heat away from the plant. So, no possibilities of burning. No-noise: With this COB grow light, you don’t have to tolerate the noise of the fan. Lifespan: It has 50,000 hours guaranteed lifespan so it’ll sustain for a long time in your indoor garden. Accessories: You’ll get a waterproof power cable and hanger rope (made of steel) with it. Easy to use: It’s effortless to use. Just plug and play! Easy to move: It is very light in weight so you can move anywhere anytime very easily. Warranty: The manufacturer is giving you one year warranty and free repairing. If you’re in a tight budget or looking for something easy to use then go for it. It’ll perform beyond your expectation. Also, if you need something less potent than going for the 100w or 200w of this series. A bit pricy (It’s normal, as you’re investing on professional gear). Are you looking for something that gives professional service? Or something that is powerful and covers a big area? If these are your need then OFADD has a perfect solution for you. It is OFADD’s 1000W COB grow light. OFADD is well-known if the market among all the expert grower. The 1000W grow light is one of the most effective and powerful grow light I’ve ever used. It covers and helps to grow your plant like sunlight. Want to know more? You’ll find all the features of it below. Lightning system: It has a full-spectrum grow light which provides all the elements a plant needs from the sunlight. It gives 380-800 nm. The light helps the plant to grow in all stages. However, you’ve to change the light’s density in different stages. Adjustability: It’s adjustable. You’ll get two switches in the light which are VEG and bloom. 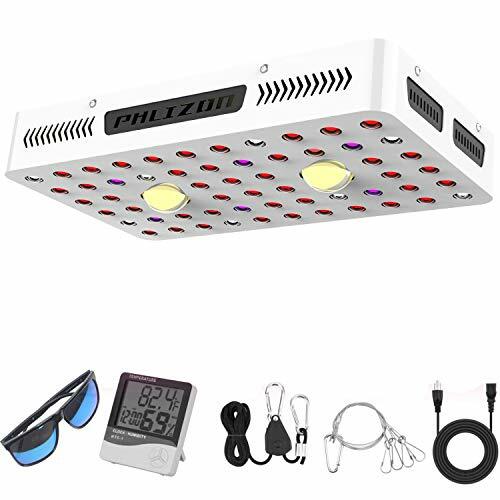 So, you can set the light for different growing stages, There’s also a dimmer knob available which you can use for controlling light density. It’ll help you to avoid plant burning and etc. So, now you’ve all the controls in your hand. Energy-saving: It only consumes around 110W per hour. Even after being a 1000w COB grow light. It consumes very less amount of electricity which makes it an electricity saver indeed! Heat-consumption: For consuming heat, it has a big and powerful fan which keeps the light cool. There’s also a large heat sink available which helps to get the heat away quickly. Warranty: You’ll get three years warranty with it. So, if any problem occurs within 3 years, you know where you’ve to contact. Lifespan: It may last you for a decade. If you need it for a decade then give it a rest after using for 5-6 hours every time. It’ll help it to sustain for more long time. Accessories: It comes with a power line and a steel made hanging kit. It’s an awesome product indeed. But, I wouldn’t recommend it to any newbie. 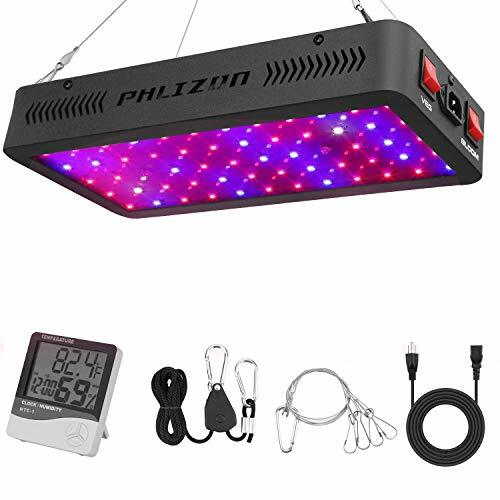 It’s perfect for those who have experience of growing marijuana with a grow light. If you can control it manually in all stages or adjust it accurately then you’ll get the best result possible from it. Anjeet 800W COB LED Grow Light holds the spot for the best COB LED grow light for cannabis indoor plant growth for sure. With the single and secondary lens, this COB LED grow light is able to provide much needed luminous efficiency which will make your cannabis plants healthier and faster blooming. Also, since this is one pretty convenient lamp, you can also use it for sowing, breeding, farm, garden, green house, and lots of other things. What about the heat dissipation? Well, this lamp is providing the best heat dissipation and therefore, your plants will be protected from the heat or any sorts of damage. Same goes for the stability and the lifespan. This light lamp is famous for its outstanding durability and splendid performance. 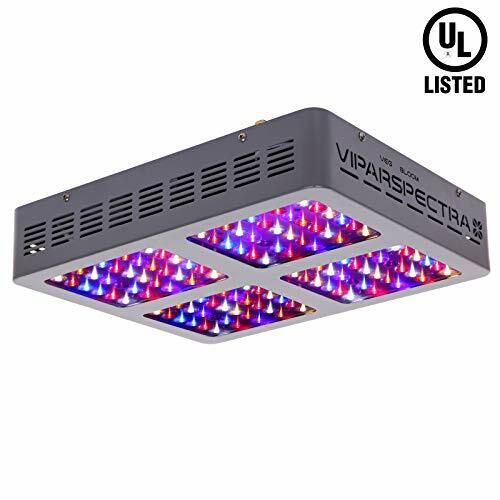 Also, the spectrum color uniformity is improved with the integrated COB LEDs and this is definitely something your plants will benefit from. Anyhow, with the COB LED grow light like this, you can sit back and relax while the lamp does all the work. Get it now and don’t miss a chance to benefit a lot from it. Perfect of every stage of the cannabis plant growth. Long lifespan, Best heat dissipation. So, another professional grow light is here. Macegrow is a great brand of the industry. They’re one of the leading brands indeed! So, how can I miss their product right? So, here is a review of a professional grow light of them. It is Macegrow’s 900W COB grow light. It comes with 7 in one optical lens that works like a beast. There are more great features available too. Want to know more? Here you go! Lightning system: It has a full spectrum COB (chip on board) light which works for all kind of plants and in all stages. The LED light has a 105-degree optical lens which increases the brightness level too. PAR value: It provides a high PAR value. Energy-consumption: It consumes 260 watts even after being a 900W grow light. Which makes it energy-saver too. Daisy-chained: Yes, it is daisy-chain supported so that you can connect more grow lights altogether. When it is very easy to chain another light with it. 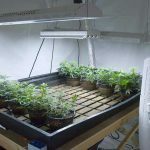 This feature will help you to keep your grow room organized. Heat consumption: It has a high-speed cooling fan with a two sides aluminum shell installed. It keeps the LEDs cool and helps to dissipate the heat away. Warranty: Well yes! You’re getting one-year service warranty with it. Their after-sell service and customer service is awesome and helpful too. So, if you face any problem within a year with this light, they’ll happily solve it for you. Money-back guarantee: Macegrow believes in giving its customer 100% satisfaction. So, if you don’t like their product or face any problem while using then they’ll give you your money back within 30 days. According to me, it’s a great light for growing marijuana commercially. It covers 1.5m area perfectly. I am very satisfied with it. If you’re looking for something beautiful and effective for commercial use then it’s the best choice for you. Also, if you need something that is a bit less strong than OFADD 1000W grow light then it’s a great choice for you too. Niello is a super-hyped brand of indoor gardening industry. They have so many great products on the market. That’s why today we’re reviewing Niello’s most hyped grow light. It’s very famous among all the intermediate growers. It is Niello’s 600W COB grow light. It’s mostly known for its unique and sharp design also for its full spectrum. The spectrum range of it starts from 380nm and gives up to 780nm. The most attractive part of it is that it has three 200W COB LED lights in it. That means it’ll cover a big area and it’ll perform effectively too. Hey, are you being desperate to know more? I won’t take this too long then! Just jump into the feature section. Lightning system: Well! It is a 600w COB grow light which has three 200W COB grow light in it. The 200W powerful light helps to produce brighter light with PAR value. The light widely performs from 380nm to 78nm. It’s enough for all the stages of marijuana growing. You can grow a strong and healthy plant quickly with this light, it’s proven! Energy Saving: It uses up to 98% of the electricity it consumes. That makes it energy-saving. 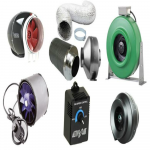 Heat-consumption– It has three high-speed fans in it with an aluminum heat sink. The fan keeps the LED cool and the aluminum sink helps to move of the heat. Even after having three fans, it doesn’t have any noise or disturbing noise. It’s like a quiet beast who only believes in action. Warranty: You’ll get a two years warranty with it. Their professionals are always ready to help you with any issues. Guarantee: For the first time, I found a brand that gives 60 days money back guarantee. Which means within two months, if you don’t like their product or if you find out any defect, you can get a full refund. Isn’t it great? Personally, I really like their guarantee and warranty service. It’s an ideal grow light indeed! If you’re looking for something powerful and worthy for your money then it’s the best product that you can get now! Now, we are going to say something more about COB LED grow light methods and how to grow a perfect cannabis plant. We know that every cannabis plant grower wants a healthy, big, and beautiful plant, therefore, here are some ways how you can achieve that. Make sure to get the right light – Most of the people don’t pay attention to the quality of the lamp and their specifications. Now, in order to get the best cannabis plant, you need to focus on the quality of the light that you will use. We suggest the blue and red lights or lamps with the full spectrum 380-780 nm. This way, you will definitely provide much-needed treatment for your plant. Position the lights correctly – The light’s position and distance from a plant is important for growing healthy and big cannabis plants. We suggest to place lamps a little bit close, but not to close, about 50cm away from the plant will do the job. This is important because some lamps have poor cooling systems and the heat will damage the plant. Consider more lamps – If you want to get more cannabis plants, it is only logical to get more lamps. Therefore, you can use those lamps to create a sunlight-like area to provide your plants with the needed treatment. Also, you need to be patient and wait for the plant to grow, don’t add more lamps onto one plant since that will do almost nothing. In order to know how to pick the best COB LED light, we will simply list some of the things you need to keep your eye on. Now, let’s see those crucial things you need to take into consideration before buying one COB LED grow light. Most of the COB LED lights have wide spectrum that provides almost similar light to the sunlight. But, not all of them have the ability to adjust the spectrum output. This option will come quite handful when the plant changes stages and phases of its growth. With this, you will be able to provide your plant with the similar growing process as it were growing in the nature. Every COB LED light has some kind of a cooling system. Why is that important? Well, without a cooling system, LEDs will last shorter and your plants will be damaged from the lights. Now, in order to get the healthy plant, you need to have a lamp with good cooling system. Most of the lamps have UL fans and heat dissipation features that come quite handy for every occasion. This will only ease the whole process of plant growth. You will be able to rest your head when you have a lamp with constant driver circuit. Most of the lamps have a proper LED driver that supply a constant current and it regulates the intensity of the light. Also, this is in a close connection with the temperature since light produce heat. Good LED circuit driver have ability to adjust the temperature of the light correctly. Since there are lots of different types of lamps, especially those with the COB LED grow lights, it is very important to choose the right lamp for the right job. Namely, most of the COB LED lights are convenient for indoor use, but some of them are better to be used in places like green houses, gardens, and other. The best way to know how to choose the right COB LED light, is to know where it performs the best. Well, almost every COB LED light is high initial investment to begin with. But, if you look for more cost-efficient COB LED lights, then don’t look at the price, look for the ‘’power saving’’ features. Namely, there is a big number of COB LED lights that are expensive at the beginning, but turn out to be a pretty good investment at the end. The lamps with more lights and less power are definitely the best way to save a lot of money through the whole process, but in the end it they don’t cost a fortune per se. All in all, without high initial investment, you won’t be able to get the COB LED lights, but it pays off at the end, that we can guarantee you. I guess you already know, how crazy I am about COB grow lights. However, it doesn’t mean I am being biased. For proving that I’m not biased and COB rocks, here is something that I hate to do! Why do I hate? It because I like all kind of LED grow lights and respect their effort. But, COB is something that just touched my heart. So, that’s why I hate to make a comparison. As you already know why I hate comparing COB with other grow lights. That’s why I’m doing it differently. I am not doing any head to head comparison. Instead, I’ll tell you about all the varieties pros and cons. So, you can keep gathering bits of knowledge without hating any grow light. So, let’s get into it! HPS grow light one of the most famous grows light in the market. It is known for its perfect and stronger light intensity. It has short light spectrum, and it consumes high-heat. It is quite large. It can run up to fifty thousand hours. It isn’t that expensive. According to the price range, it is suitable for intermediates. When it comes to high indoor grow lights, CMH is something that we see in the list. It is known for its extended spectrum. But the light intensity of it isn’t that high. It doesn’t produce a massive amount of heat, but still, it’s quite big. The lifespan of it is around 20,000-25,000 hours which isn’t that bad. According to the pricing range, it’s also perfect for intermediates. When you’re looking for something within the low price, CFL grows lights are first in the list. It has low-level light-intensity and tiny light spectrum. As it sounds like less powerful, it produces less heat too. It is small in size. It can perform 7,000 to 12,000 hours. According to the price range and configuration, it’s good for small growers. Are you looking for something average? Then MH is something that suits your requirement. CMH doesn’t have deep light intensity, but it has a high light spectrum. It is large and consumes the right amount of energy. For a reason, the MH light produces more heat. It can run up to 12k to 17k hours. It’s available within an average price range. COB light is something that suits all the growers who are looking for the best product of the market and ready to spend the right amount of bucks too. It provides higher-density light and pure full light spectrum as well. As COB is a modern lighting technology, it consumes and uses all the energy, and that’s why it produces less amount of heat. It’s small in size, but still, it has a fantastic lifespan of 50k to 60k hours. It is quite expensive but deserves every penny of the money. Now, the ball is in your court. You decide, investing in a COB grow light is good or not! Am I a hypocrite? Well, no! 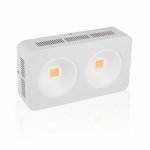 SMD light has some similarities with it, but COB is the updated version indeed. 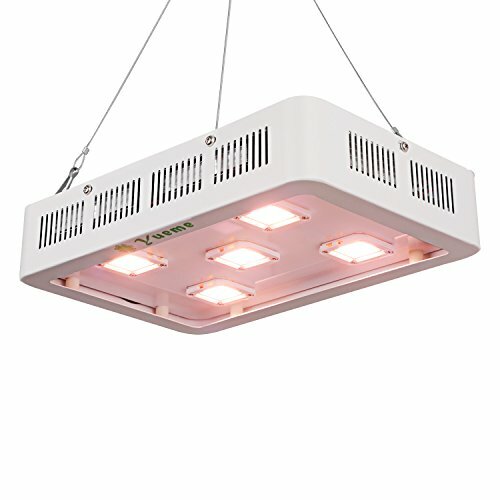 For saving all of you from buying SMD grow light by mistaken, I am writing this. Still, I don’t discourage people from getting SMD. SMD is good too. So, here are the differences between COB and SMD. COB has more LEDs in it which SMD doesn’t, even in the same size panel. COB light has higher intensity, more profound and stronger brightness in it. COB isn’t bulky where SMD is. COB produces less heat than SMD. SMD permits you to change the colors where COB doesn’t. SMD has a better spectrum and lightning coverage. SMD has better penetrate rate. So, these are differences between COB and SMD. COB and SMD’s looks quite the same, and that’s where all the confusion starts. However, COB and SMD aren’t the same things. So, before getting a COB light check wisely. In the light of everything we said above, we can only add that every one of these COB LED lights that we discussed are definitely worth the money and you can benefit a lot from them. Anyhow, the best way to know which one to choose is widely explained in our buying guide, so there should not be any problems with that. However, if you plan on growing a cannabis plant, then having one of these lamps will definitely help. They all provide great treatment for the cannabis plants and they are all equally convenient for indoor use. With any complicated effort or troubles, you will be able to benefit a lot from the lamps that we discussed. Choose your favorite and get it now! In the end, if you liked our article on Best Cob grow light, don’t forget to share it with your grower friends. Also, if you’ve any question regarding COB technology, don’t forget to ask us below! Hi , I’m Polly of Shenzhen Rio Tinto Opto-electronics Technology Co ., Ltd . We are Professional LED Lights Designer & Manufacturer .We have many type lights with DLC/ETL/CE/RoHS certification , if you are interested in our lights ,please contact me . Looking forward to your reply .Thanks ! If your product is good, i want to test and share for my reader.